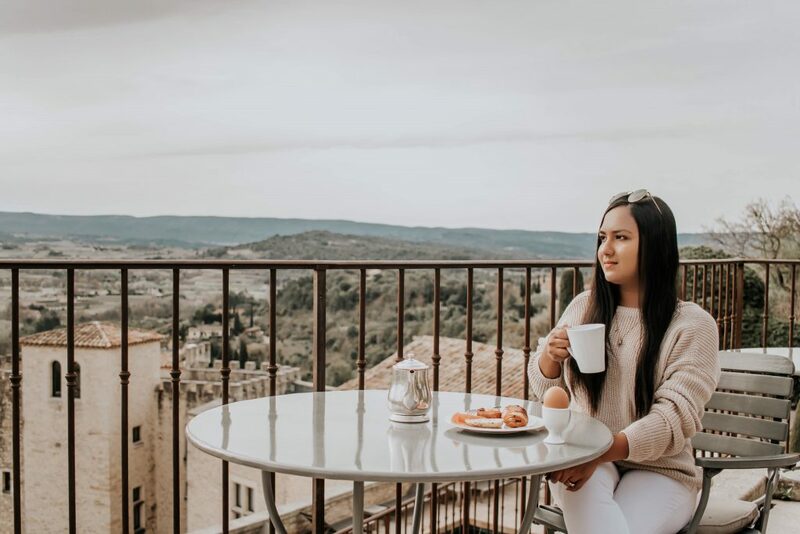 Glamourous, elegant and picture perfect is how I would describe Hotel Crillon le Brave. 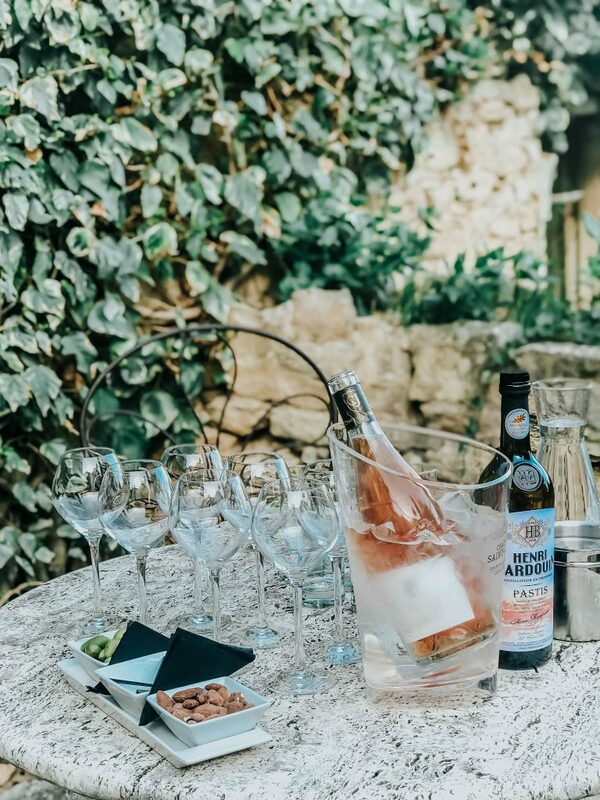 Set on the hilltop with breath-taking views of Mont Ventoux, the hotel captures everything that that is charming about dreamy Provence. A 5-star luxury property surrounded by vineyards and olive trees offers spectacular views. It’s also a member of the Relais & Chateaux collection. 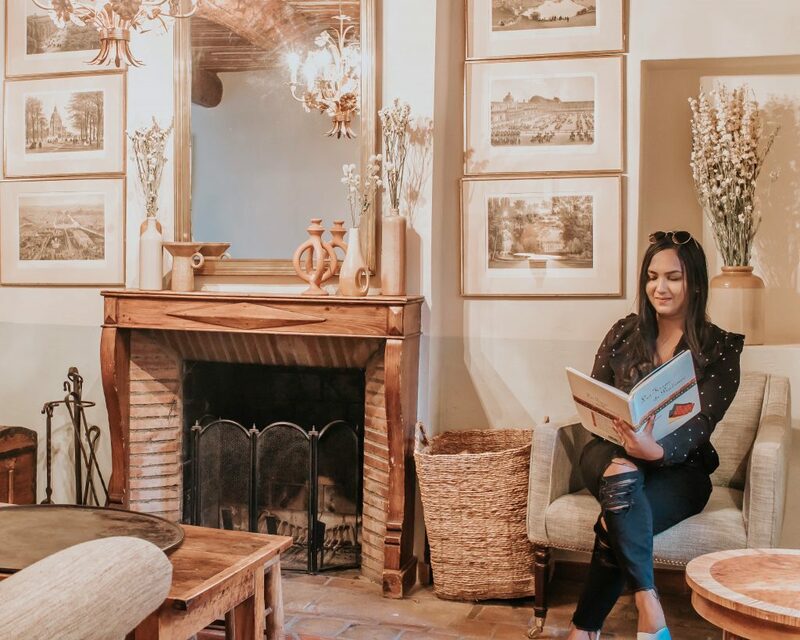 I don’t know what keeps me bringing back to Provence, the picture-perfect honey-coloured stone houses, warm climate, untamed and mountainous countryside. So, I couldn’t say no a press trip opportunity to Crillon le Brave that came my way recently. We flew to Marseille which is around 1.5 hours’ flight from London. As soon as we landed the sky was bright, I was blinking in the sun unable to believe my good luck. Our taxi was already waiting for us at the airport; the hotel is around 1 hours and 15 mins’ drive. 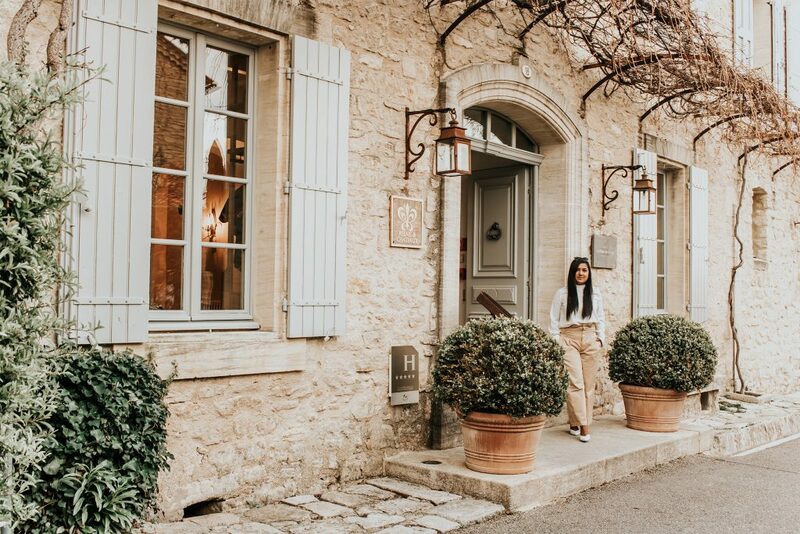 After the scenic drive, we went up the hill towards the little town of Crillon le Brave just after the local church the beautiful hotel was awaiting us. The lovely hotel team were at the doorstep to greet us. We received a warm welcome, and I was impressed with the friendliness of the staff. The hotel manager offered us a tour through the hotel, he was an amicable person engaging in conversation and explaining us about the history of the hotel. 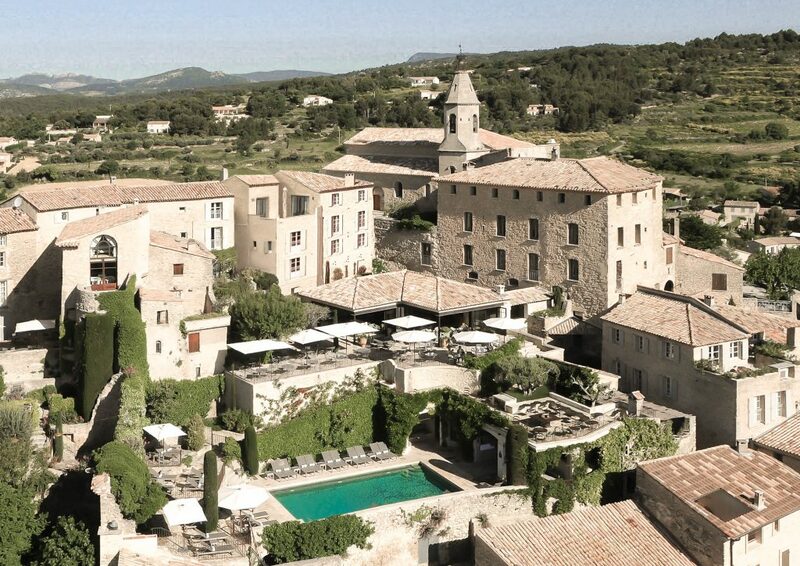 Nestled in a small hilltop village, the hotel is in the centre of Crillon le Brave from which it takes its name. 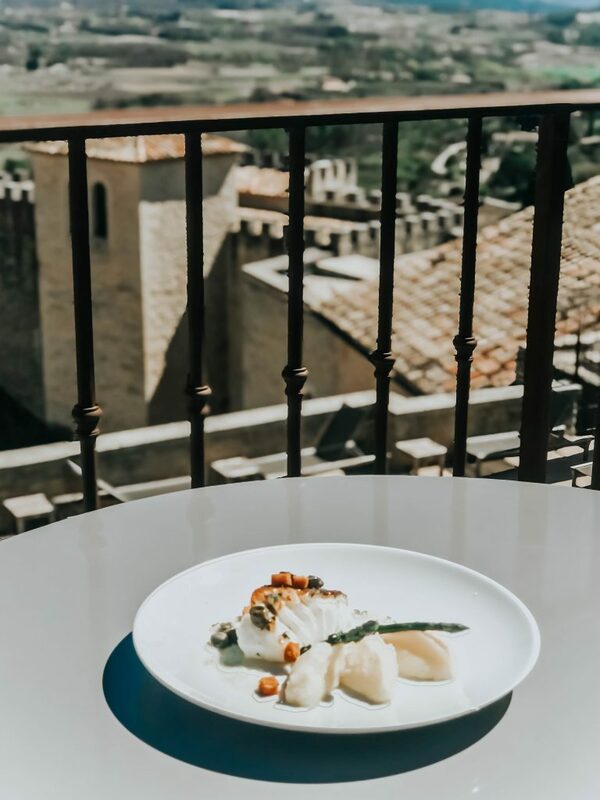 The previous owner Peter Chittick fell in love with the place and purchased one building at a time converting a medieval village into a split level with spectacular mountain views. 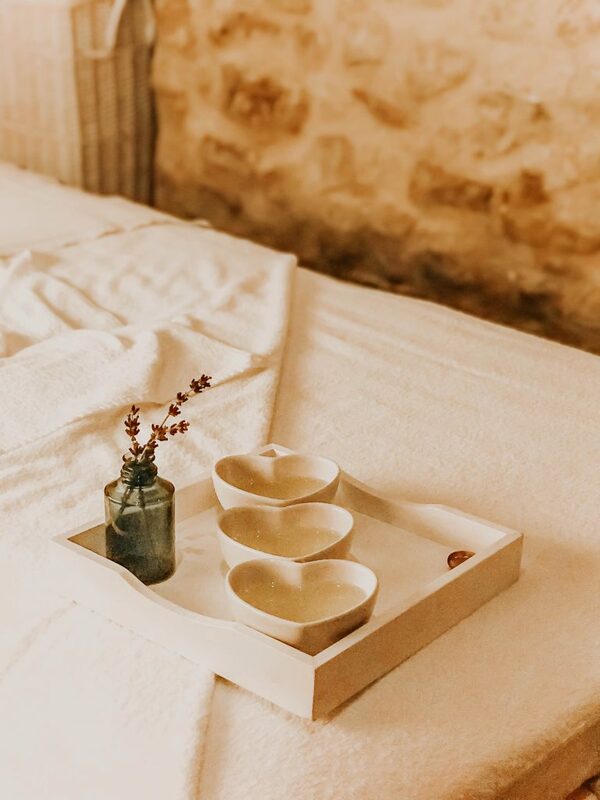 The hotel has 36 bedrooms spread across eight terracotta topped honey-coloured stone buildings overlooking Mont Ventoux are interconnected via arched alleyways, stone steps all made from local limestones. 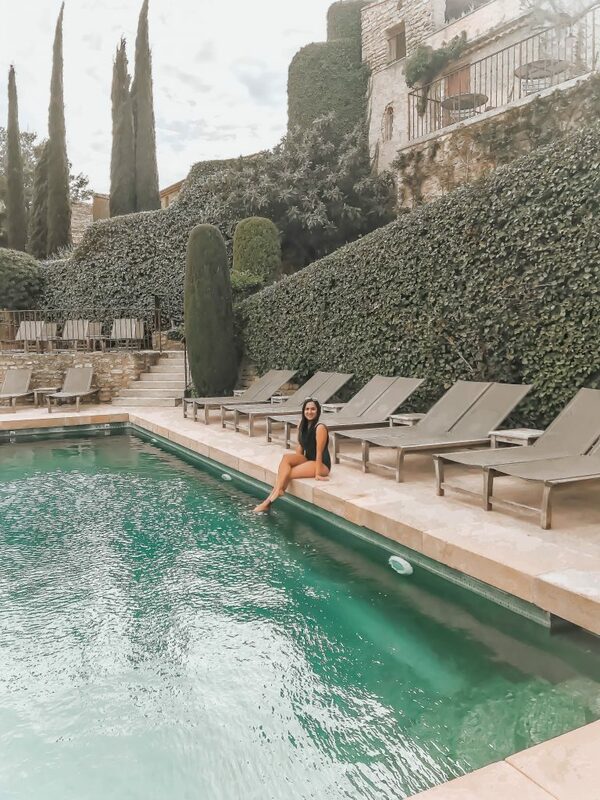 The Ivy clad walls, classic French blue shutters, boules court, outdoor heated turquoise pool overlooking the valleys, vintage street lamps, terraced gardens – it is indeed a perfect Provencal setting. 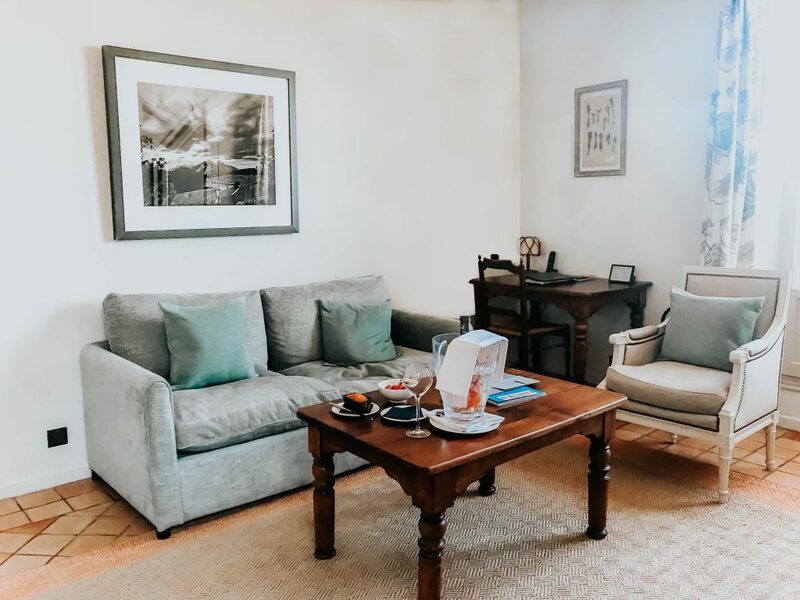 My suite splits into two levels retained the period features such as the beamed ceiling, terracotta floors, and furnished with a mix of antique and contemporary pieces. The ground floor French doors opened out over the terrace area overlooking the Rhone valley below. The view from my window was breathtakingly beautiful with magnificent Mount Ventoux hugging the horizon. Old world charm continued in the bathroom; It included everything you would expect from a luxury hotel, toiletries included luxurious products from Bamford, luxury robes and slippers- luxury, comfort and character were at the heart of this suite. 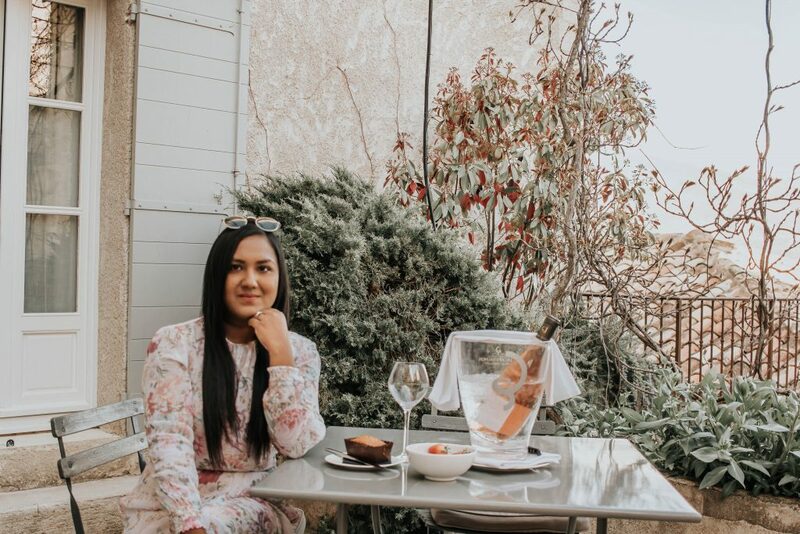 There are three restaurants at the hotel, our first meal was at the terrace La Grange with sweeping views of the valley and Mont Ventoux, on the day we arrived at Crillon le Brave. Lunch started with a glass of house Rose, produced within a few miles of the hotel. My starter was flavoursome white asparagus from Michel in Mazan, Trout Gravlax and Gribiche sauce. The next course was Grenoble style pan sautéed cod and mashed fingerling potatoes. I was so full after the out of the world starter and main course that I gave dessert a miss. However, the strawberry éclair looked gorgeous, and I wish I tried it. 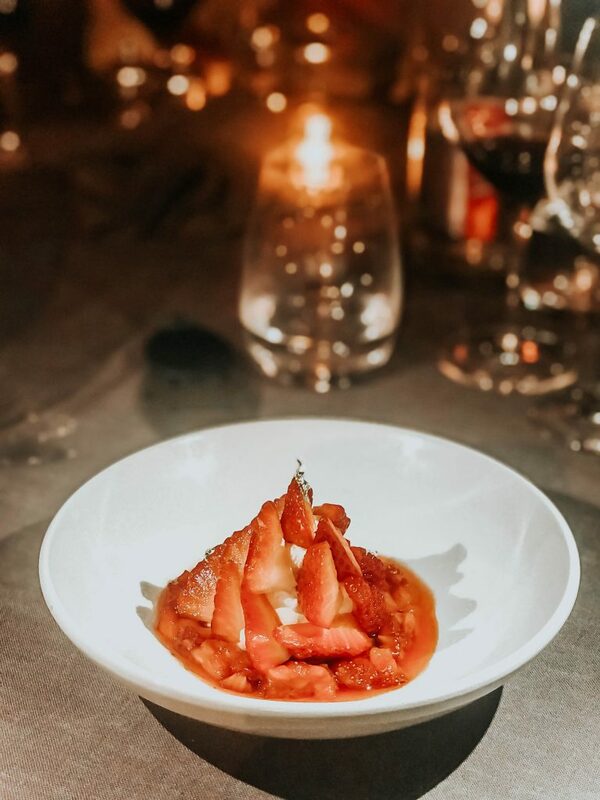 We were lucky to be able to enjoy the dishes from Bistro 40K menu on the first night. Bistro 40 K opens only in the summer. 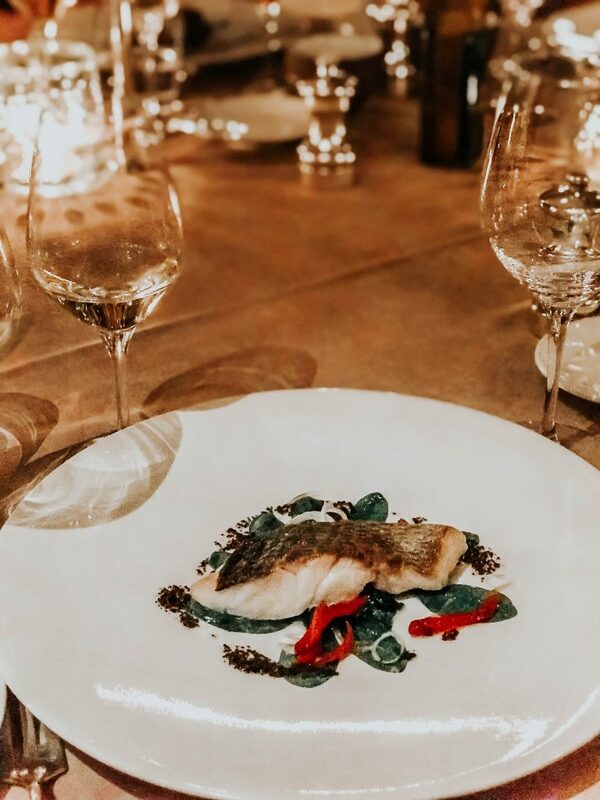 However, the lovely hotel team didn’t want us to miss the experience, so we were served the dishes from the Bistro menu at the La Grange restaurant. 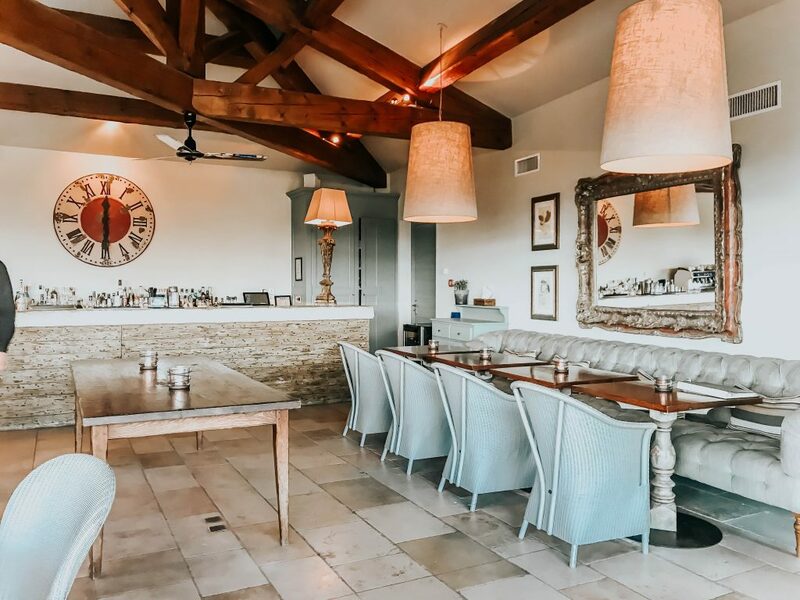 I love the concept of Bistro 40K, where they take a local, and seasonal approach to cooking with all the ingredients sourced within 40 kilometres of the hotel. When we arrived, a giant bowl of farmhouse paté was waiting for us on the table with bread. My smoked salmon tartare with cucumber and mint was incredibly fresh followed by Navarin of Lamb with roasted vegetables. Finally, I feasted on Strawberries and Chantilly Cream. I was very impressed all the dishes were healthy but packed with flavour. 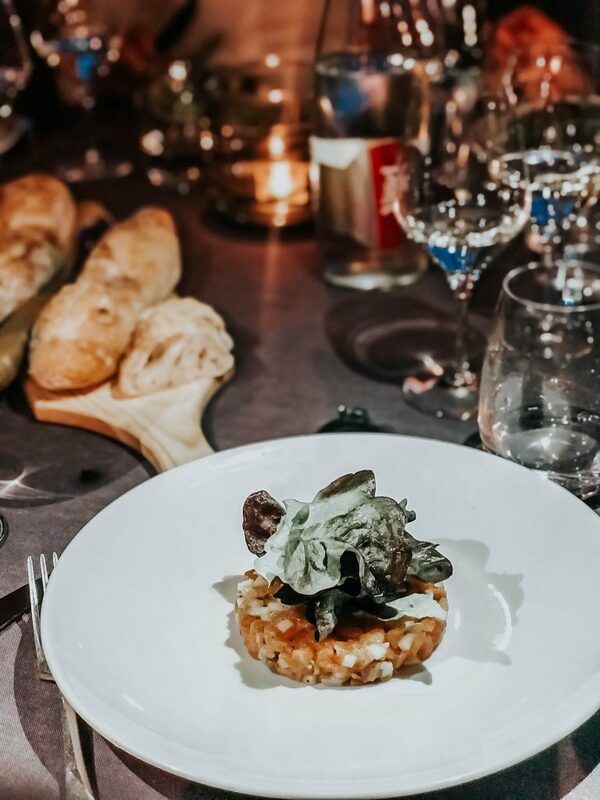 The hotel’s fine-dining restaurant is Restaurant Jérôme Blanchet providing a premier dining experience. 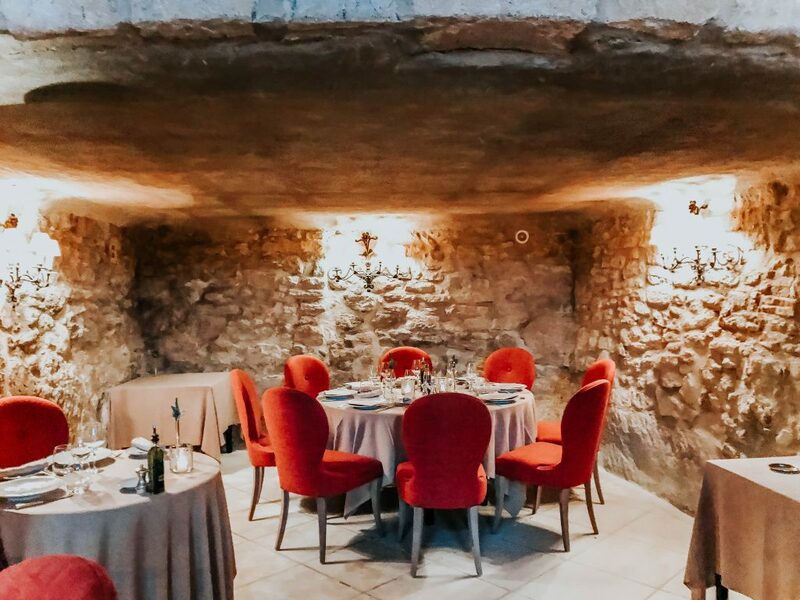 The stone vaulted dining room with crystal chandeliers, candlelight and a period fireplace offer a very romantic ambience. 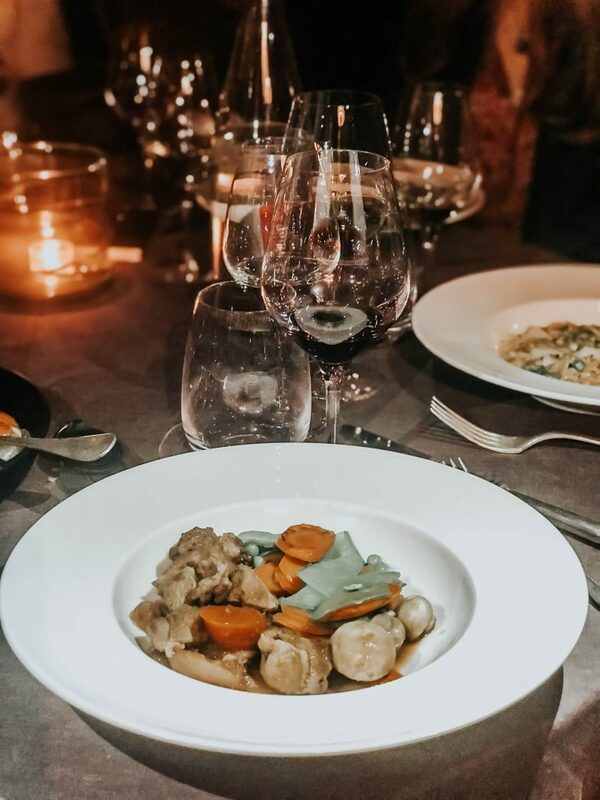 Jerome creates a highly seasonal four course and seven-course menus each month. 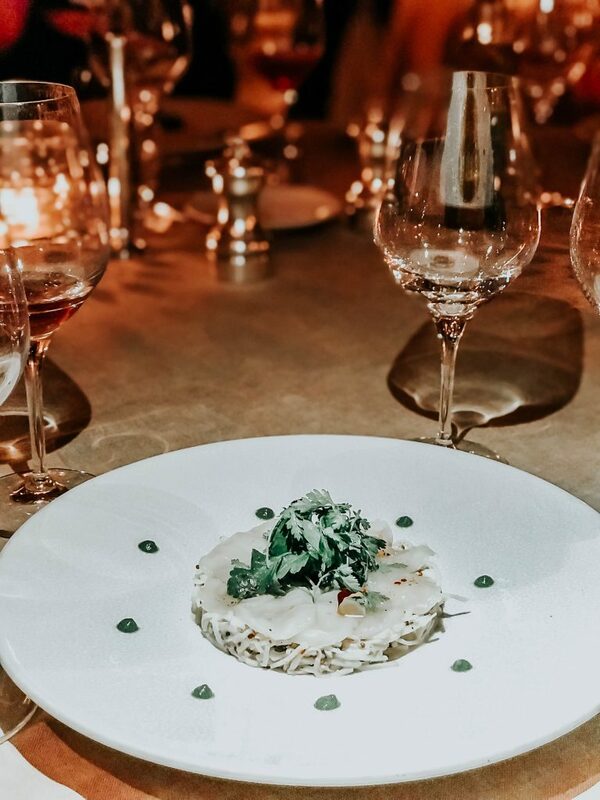 My favourites from the seven-course meal were the Scallops carpaccio, celeriac remoulade flavoured with old grain mustard, pan-sauteed gilt-headed bream, baby spinach leaves and virgin sauce mashed potatoes flavoured with lemon. The beautifully balanced hot fritters of itakuja chocolate, passionfruit sorbet and mango sauce were divine. 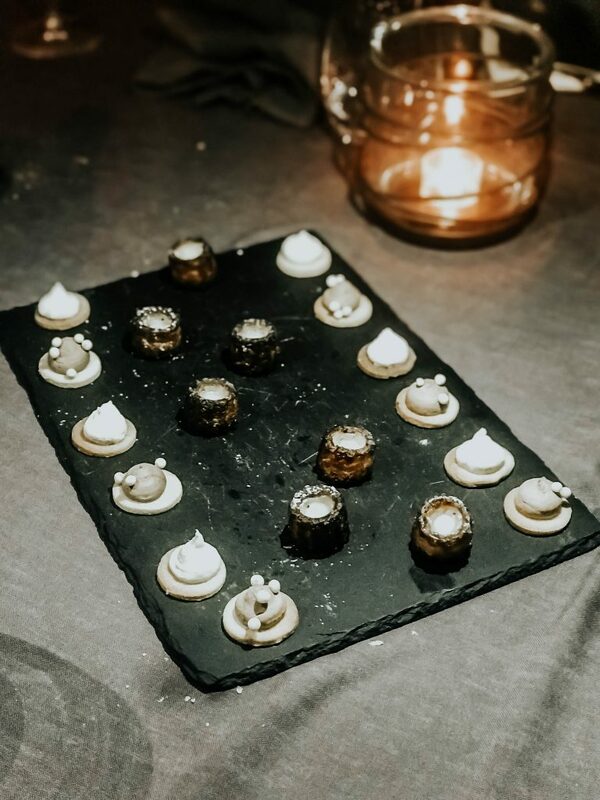 The cheese trolley concluded our meal; the selection included local delicacies like the ash-coated goat’s cheese gooey Calvados-soaked Camembert with honey, figs and jams. 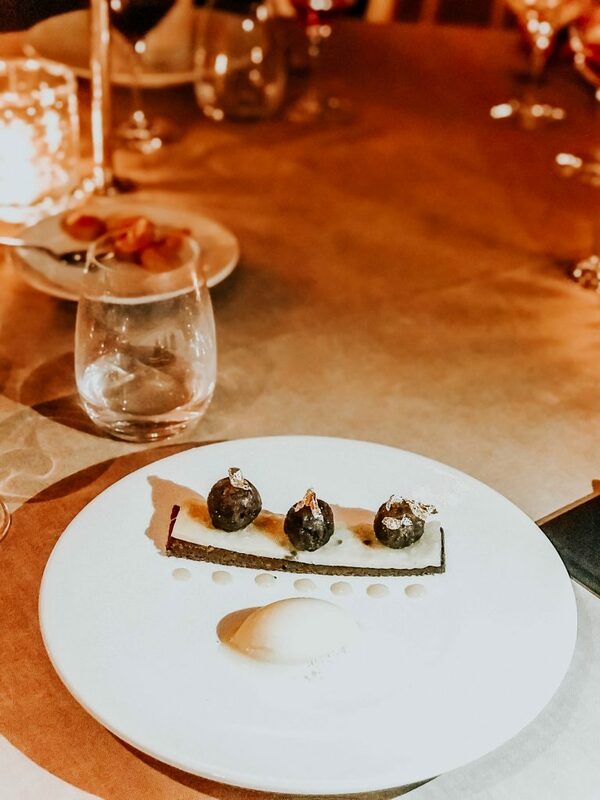 Jerome Blanchet’s dishes are a culinary masterpiece as he delicately balances taste and presentation. 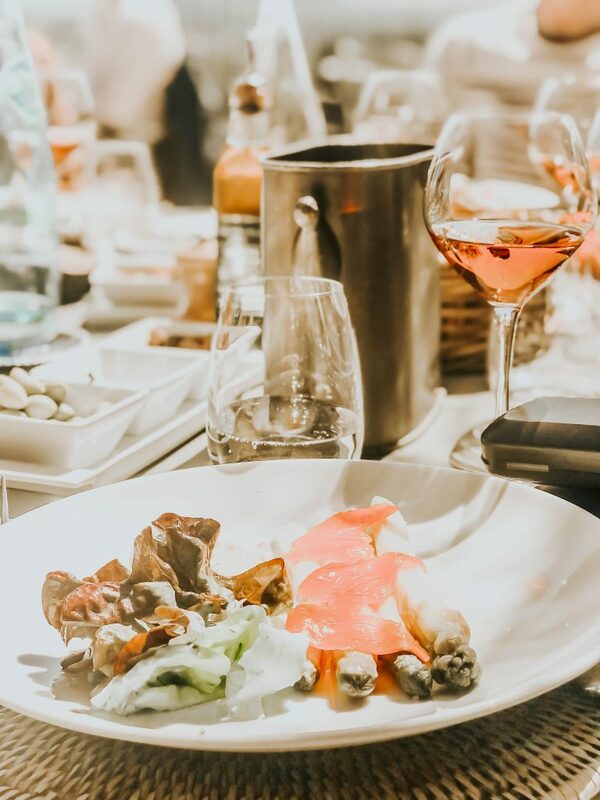 Breakfast was served at the La Grange each morning offering a Provencal buffet with croissants, pain au chocolat and other pastries, hot drinks, fresh fruit juice, fresh fruit, cereals, yoghurts, boiled eggs and scrambled eggs, bacon, sausages, cheese platters and cold meats. 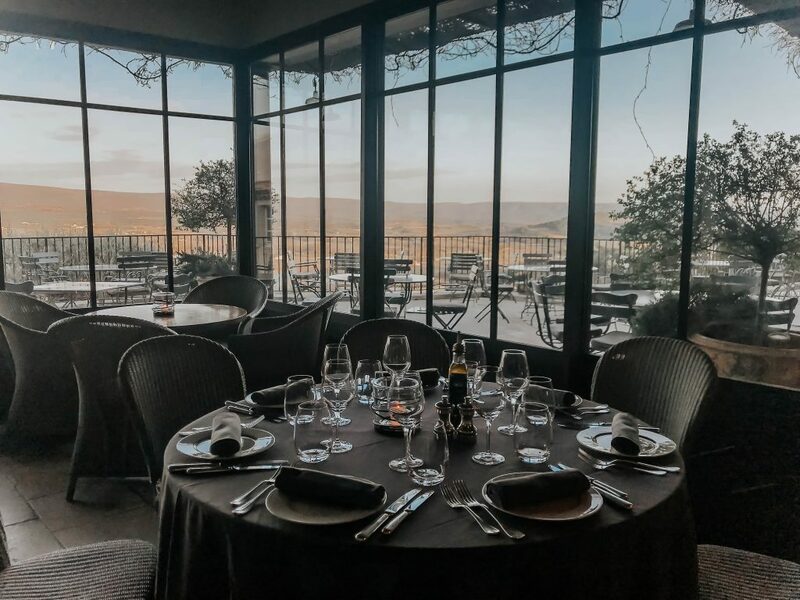 My favourite part of the trip was enjoying the tranquilly of the countryside and panoramic views of Mont Ventoux at breakfast each day which set the tone for the rest of the day that followed. Our gastronomical experience didn’t end here on the day of our departure the hotel packed us lunch to enjoy after our antique market trip. Packed lunch never looked so luxurious; it included Spelt Tabouleh salad, Country Bread Sandwich with tuna and salad, fresh fruit and homemade cakes. The lunch bag also included proper cutlery and cups; they made sure we ended our trip in Provencal luxury. 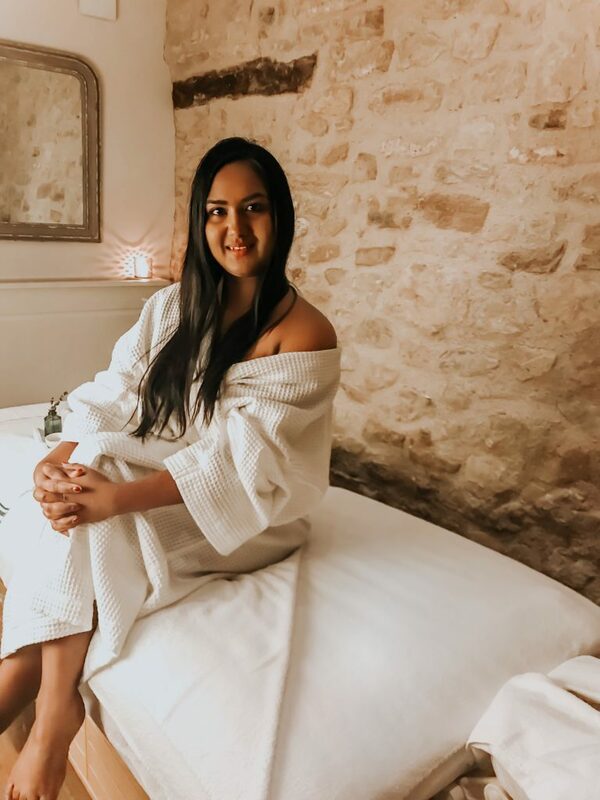 The spa also known as the Spa Des Ecuries was a former stable of the 18th century village house which has been renovated well and includes three spa suites. The treatment suites occupy a vaulted chamber of which one still has the original stone hay trough. I was offered a thirty-minute bespoke massage during my stay. The lovely therapist escorted me to the treatment room. 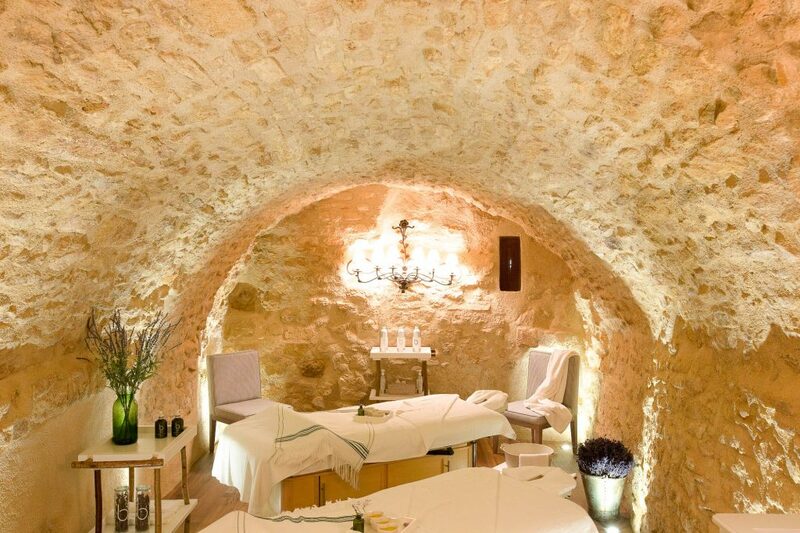 It felt instantly soothing in the treatment suite; the massage started with a selection of my preferred oil. She presented me three oils to choose from, and I went for the lavender. The therapist asked me which part of my body would I like her to focus on and started massaging my back, legs hands and moved on to the shoulders. She applied the appropriate level of pressure and leaving my body fully relaxed. I was pleasantly surprised to see all the products used in the Spa are from Bamford which I wouldn’t think is very common in France. After the treatment, I was sipping green tea at the spa lounge; the serene ambience eased me in a complete state of relaxation. 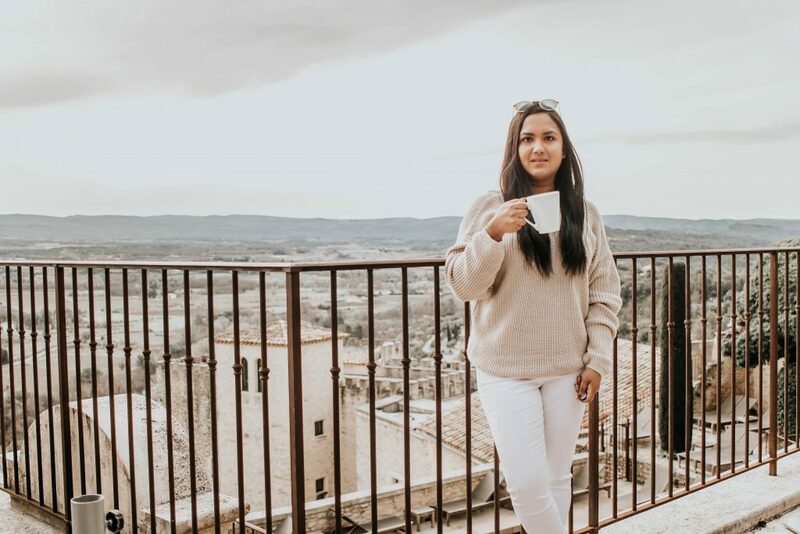 What I loved about Crillon le Brave is they help guests experience different activities whether its culture, history, wine or outdoor adventures. During my stay, I was able to experience the following activities. 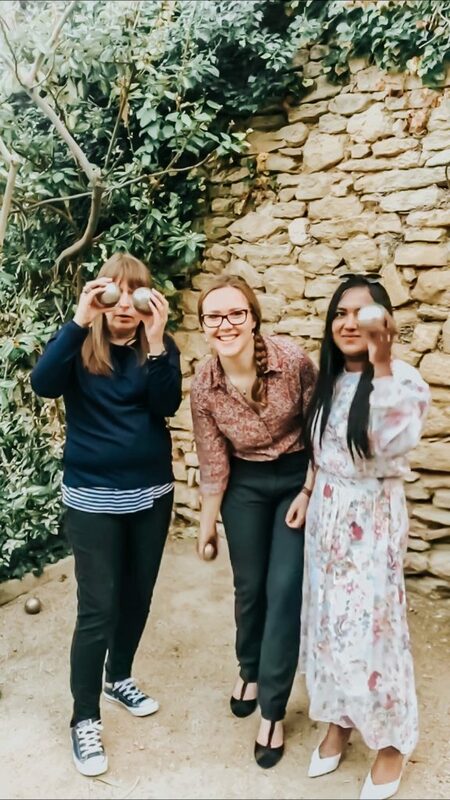 On the first day before dinner, we enjoyed a game of Pentaque at the hotel’s charming Boules court. The weather was lovely, a balmy evening perfect for an aperitif and few games of Pentaque. 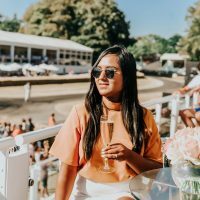 As we were sipping Pastis and Rose and nibbling on olives and almonds, Marketing Manager Bertille explained us the rules of the game. We split our group into two, and the games began by tossing a little wooden ball- known as the jack from the throwing circle. The aim was to launch the boules as close to the little wooden ball as possible. After few poor throws, we warmed up and played some lucky shots which lead to winning the game. It was such great way to bond with everyone; I am so hooked on the game that I am now looking forward to playing it next time I return to Provence. Provence is the perfect place for biking being the home to Tour de France. The hotel provided us bikes, and Bertille lead the way to our picnic spot. The route was quite challenging with my lack of biking experience, but it was good fun as we went slow stopping on the way to enjoy the scenery. We soon reached the quarry filled with pink coloured rock, the beauty and extraordinary majesty of this quarry was awe inspiring. 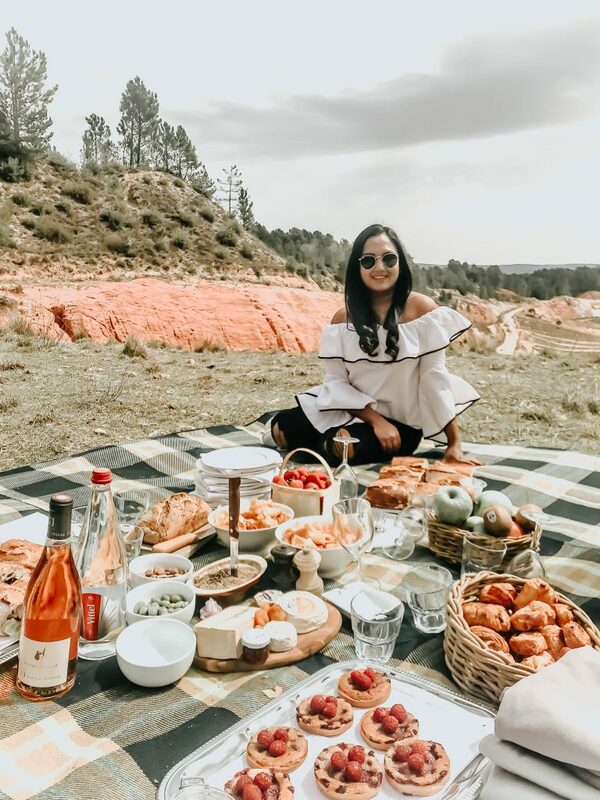 After strenuous peddling, a beautiful picnic spread was set up for us with rose, peasant bread, baguette sandwiches, pate, fresh fruit, pain au chocolat, raspberry pie and hot drinks. It was picnic of dreams for sure! 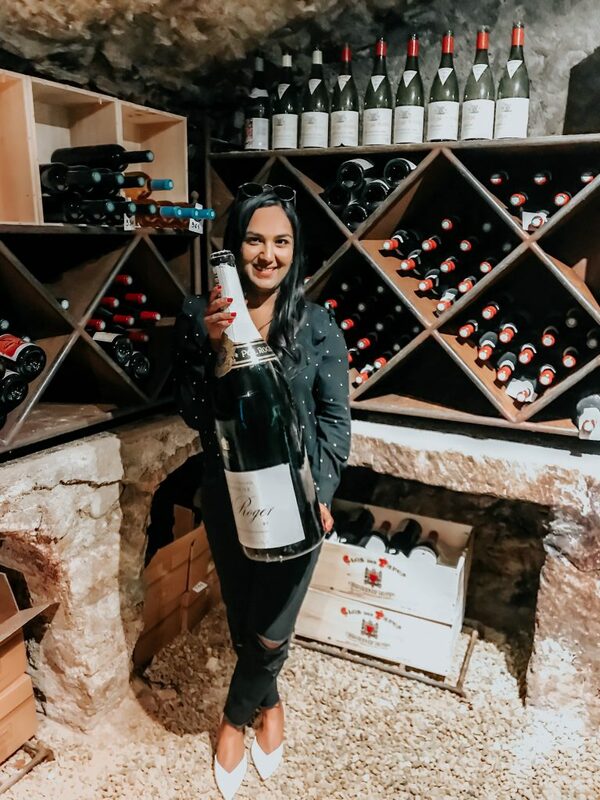 On the second day, just before our dinner, we headed over to the wine cellar to enjoy an evening of wine tasting with Crillon le Brave’s wine sommelier Benoit Liebus. Benoit was very passionate about wine from the nearby vineyards; it was a delight hear him speak imparting his excellent knowledge about wines. 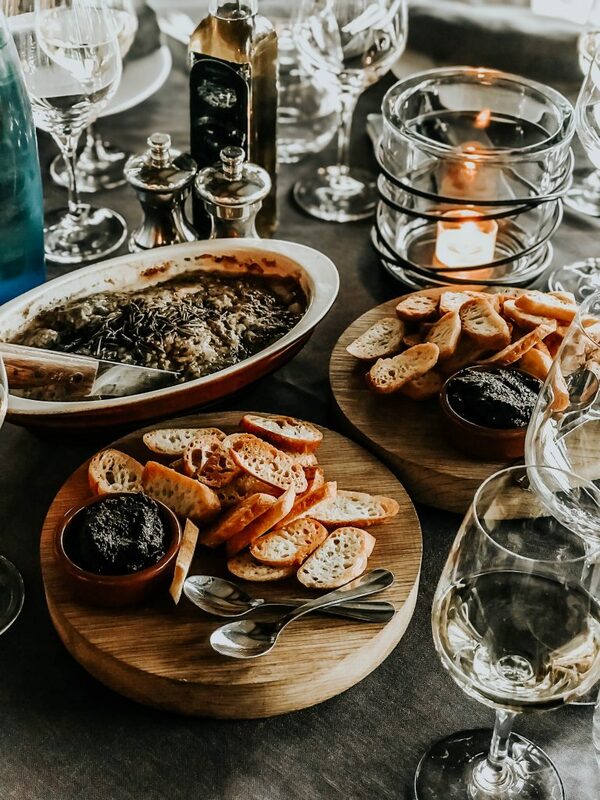 We tried three wines which included the Terre Des Chardons, Domaine du Tix and Poignee de Raisins. My favourite was the Domaine du tix. Benoit has opened my eyes and demystified the world of French wines. 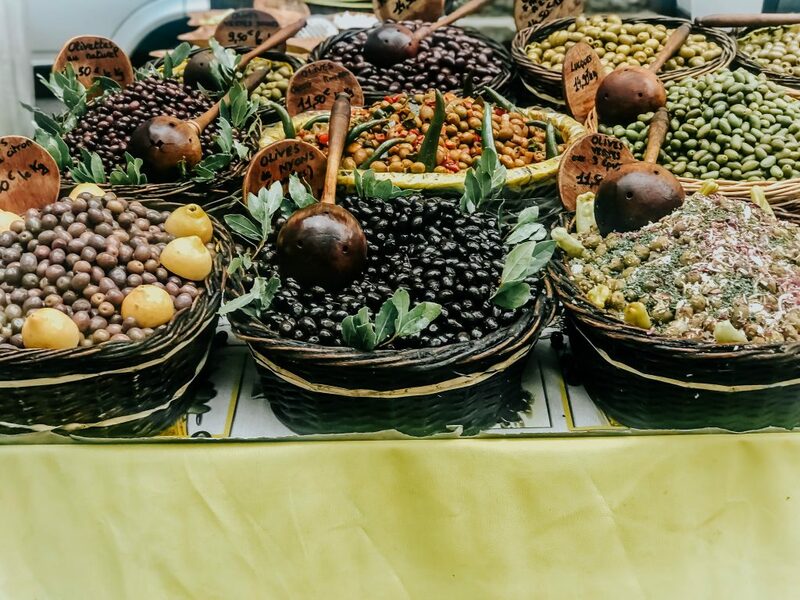 Our trip to the Crillon le Brave wouldn’t have been complete without a trip to an Antique Market. The hotel arranged used to visit Isle sur la Sorgue- France’s leading antique centre on our way to the airport. 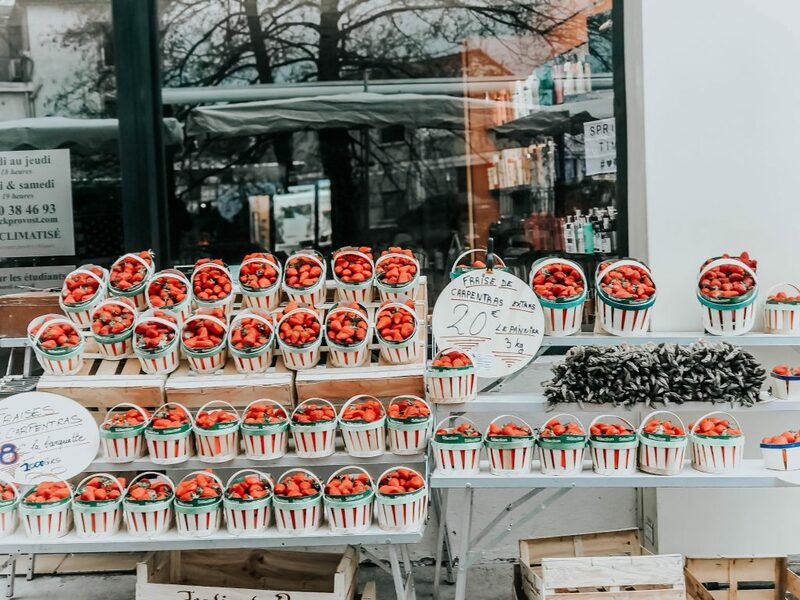 The Sunday market at Isle sur la Sorgue is a mix of antique market, food market and flea market; one can buy everything from clothes, antiques to food. The town stretching across the Sorgue river was beautiful with riverside cafés and ancient waterwheel in the centre. We spent the morning pottering around the market stalls and then having coffee at one of the charming riverside cafes. 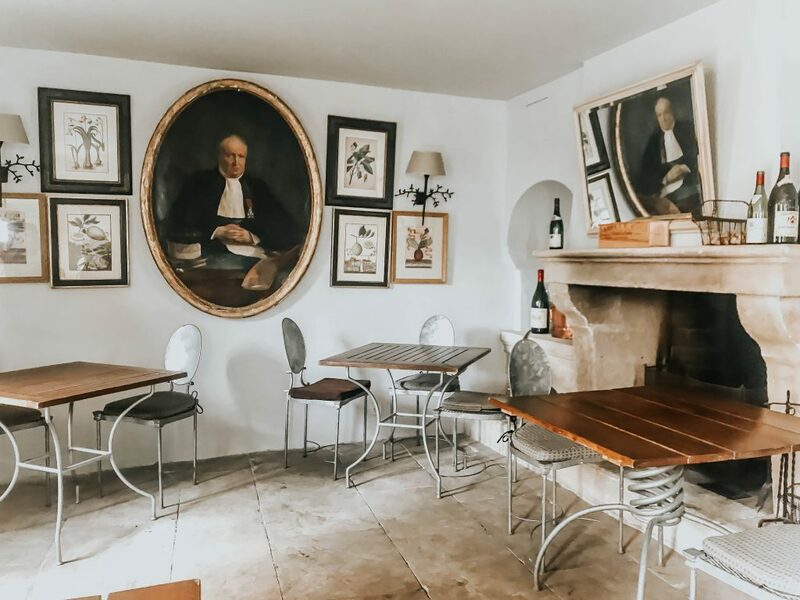 Crillon le Brave is a haven of peace and tranquillity and the best place to experience the Provencal countryside and hospitality. 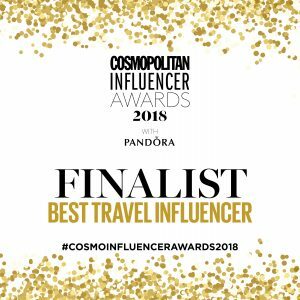 My stay was short but truly memorable- I am certainly looking forward to returning to the hotel with my husband. 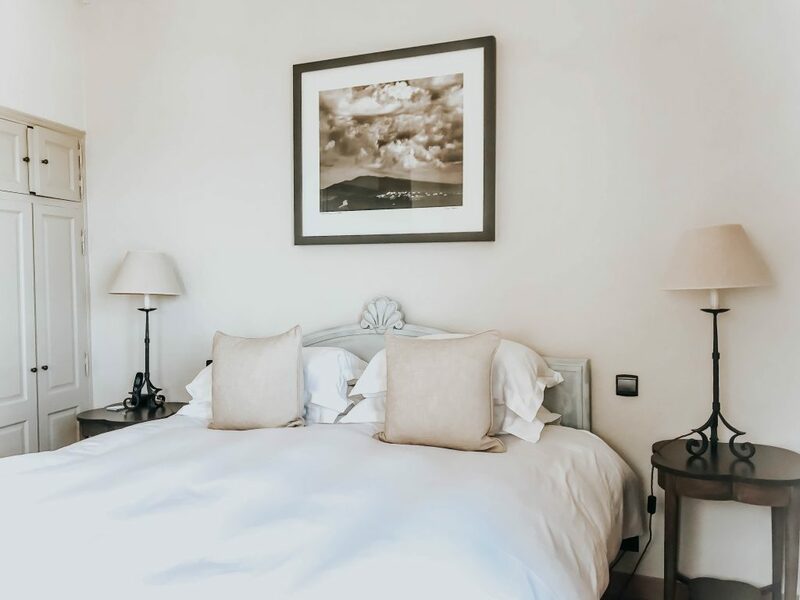 Nightly rates at Crillon le Brave are available from €340/£300 per room per night for two people sharing a classic room, including breakfast. You can book your stay here.